I didn’t get to too many workshops at the Assistive Technology Industry Association conference this year, because I only attended for one full day. I did stop into a presentation on speech-recognition for the deaf, led by Ed Rosenthal, CEO of Next Generation Technologies, a consulting firm. Rosenthal is a certified partner, and been working for 20 years, with Nuance Communications Dragon NaturallySpeaking software, and says that the technology had its first real breakthrough about three years ago when it debuted its latest version — 10 Preferred ($199). Of course, Rosenthal (a has created an extensive profile for his voice, but says it takes around 20 minutes for anyone to set up a profile, which is done by reading a story out loud so NaturallySpeaking 10 can capture the speed, tone and inflection of a user’s voice. Rosenthalsays he believes that for ad hoc meetings when an interpreter isn’t available for a deaf person, or if a hard of hearing person just wants some visual support at a meeting, then NaturallySpeaking can do the trick just fine. I agree, that even with small mistakes, a person with a hearing impairment would welcome any kind of text to supplement a conference or meeting. I asked him about virtual conference calls – could an executive conceivably use NaturallySpeaking and push the text out via an instant message program? Rosenthal wasn’t sure, but he thinks it’s possible. At the very least, the executive (or his secretary) can email out a transcript of the call after it ends. NaturallySpeaking works in Word, Excel, Corel WordPerfect and most other Windows-based applications. The Professional version ($899) is more ideal for the workplace because it also works in PowerPoint, Lotus Notes, and Microsoft Outlook. Either way, both versions can take advantage of corporate speak and save it in your profile. That’s great for when the boss needs those TPS reports by noon. Hopefully the software has grown better since my workplace tried it out in the early part of 2000. It required substantial time to train the software to recognize one person, and my team was at the time four people. Also, in meetings people don’t speak as if from a transcript, they ramble, go off on tangents, voices go up or down, and one can stop to think and different people will interject comments. There is also the problem of accents. Has this software been field-tested in such situations, or is this still a theoretical application? auditorysciences.com).I spent quite a bit of time walking through the exhibits at teh ATIA conference. I thought the best product by far for speech recognition for the deaf was the “Interact-AS” system being shown by Auditory Sciences (www.auditorysciences.com). They’ve gone way beyond just simple recognition to make an easy-to-use system that supports voice synthesis as well as speech recognition, plus even translation into foriegn languages. I believe they’re partnering with Dragon on this product. Dianrez says, “Also, in meetings people don’t speak as if from a transcript, they ramble, go off on tangents…” Yes, the Auditory Sciences person said basically the same thing when I was talking with him. 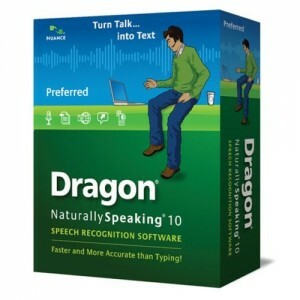 Dragon “out of the box” is designed for dictation instead of conversations. It sounds like in the presentation Rosenthal was reading from the newspaper, which isn’t the same as people talking in a room. The Interact-AS system apparently takes Dragon one step further, adding the ability to support conversations. I have played with using dragon in chat programs. I am working on a custom version. But elluminate virtual classrooms have support for closed captions, where you can into a box, that is only seen by those who choose to open it. Works pretty smoothly. I use Dragon or Windows VR at home, and viaVoice/CaptionMic when live captioning our church service. It’s not perfect system, nor is it near the quality that a qualified Steno CART could provide, but 85-95% accuracy is better than what is achieved with lipreading, and there aren’t enough CART/Steno’s around! You’re absolutely right that people go off on tangents. The software does seem to have improved considerably in the last three years. Rosenthal was speaking at about 120 a minute. Not from a script. You do have to have a polished voice, and an even tone. But many executives do. This article is really about those Town Halls or other ad hoc meetings when an interpreter isn’t available or is too expensive for a 30 minute meeting that’s last-minute and only includes one main speaker. You’re right the tech isn’t there yet to pass the mic around the room and transcribe live. Still need CART for that. But this is a hopeful tech. If a deaf person needs an interpreter or CART for last-minute meetings, they can use them remotely. All you need is a laptop, internet connection and audio input. Those remote services are more smooth and more accurate than voice recognition which is indeed much better for dictation (i.e. making transcripts for pre-recorded audio) than for real-time conversations. Many deaf friends of mine said they have tried Dragon voice recognition at work and did not like it. It caused a lot of errors due to different voices, background noises, and accents.